Only…it’s not, if you’re throwing around the perennially popular pictograms using anything besides iOS. I’ll explain, because I can already tell you’re riveted. 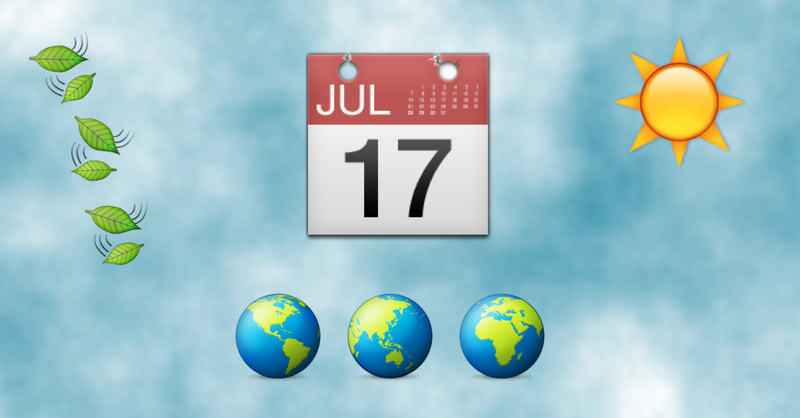 Emojipedia declared today World Emoji Day, because the date shown on the iOS calendar emoji is July 17. So far, so good. But on Android, you’ll just see a generic ‘month view’ calendar page, no celebration for you. It’s even trickier when you turn to Twitter, where the annual cavalcade of emoji celebration passed without much comment. The social network renders the date on the calendar emoji as July 15. The issue arises because operating systems and services interpret the underlying Unicode (1F4C5) differently. Of course, the Unicode character proposal system already exists, but that doesn’t have the benefit of being an easy to use subreddit.